World Purple Day is an emerging global movement that seeks to create awareness for a serious neurological condition called Epilepsy that affects 50 million people globally. This movement was started by Cassidy Megan from Canada who also lives with this disorder and felt a strong need to communicate its importance on a global scale by encouraging people, brands, and businesses to come together and teach each other about epilepsy. Steers has taken the initiative to be one of the only few brands in South Africa to make a fitting contribution, a day before the official day of global awareness, by being involved in a walk that will take place at Mushroom Park in Sandton on Sunday the 25th of March, from 9:30am to 12:30pm. Attendees of the walk will be permitted free entrance to the walk with the only condition to ensure that each walker and spectator is to bring toiletries and other donations that will be donated to the selected NGO’s that deal directly with affected individuals of this condition around the country. “We are very excited to have been offered the opportunity to support a cause that needs tremendous amounts of attention as this is a serious condition that should not be neglected but effectively taken into consideration among the other occasions of awareness in South Africa and around the world,” states Marketing Executive for Steers Adolf Fourie. The walkers are to expect a fun-filled day for the whole family where music, entertainment as well as informative demonstrations to treat unexpected cases of epilepsy will be provided. Steers has seen this as a wonderful opportunity to be one of the first and few brands nationally to be involved in an initiative that does not only have similarity in colour, but one that finds it imperative to address a need to find effective ways to support programmes that aim to uplift various communities and the individuals within them. The walk was developed to encourage South Africans to create a culture of acceptance and understanding for this critical brain condition that impacts over 500 000 individuals on average. 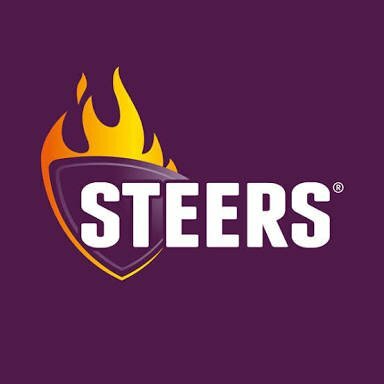 “We are so grateful for the support offered to us from a brand like Steers because of the fact they too are also taking the necessary steps to ensure that their customers who may be exposed to this condition ought to know that they are being cared for through their generous helping hand in this event. We hope that this will be a fruitful long-lasting relationship between us and Steers so as to continue to make this occasion of awareness bigger and bigger every year, and to really make the first event to be a meaningful contribution to the Epileptic community in our country,” says Tania van Heerden - Co-Founder for Epilepsy Purple Day South Africa and Linah More - Franchise Manager JHB North and East. Steers will go the extra mile to raise awareness through creating unique social media content posts that will encourage early detection, ways to handle traumatic encounters as well as demonstrate effective ways in which individuals can approach medical consultants who can assist patients who are scared to come forward for treatment. South Africa is urged to support this cause by wearing a purple item of clothing on Monday the 26th of March in a bid to raise awareness for this condition as the rest of the globe will also raise awareness in a variety of interesting ways and activities.